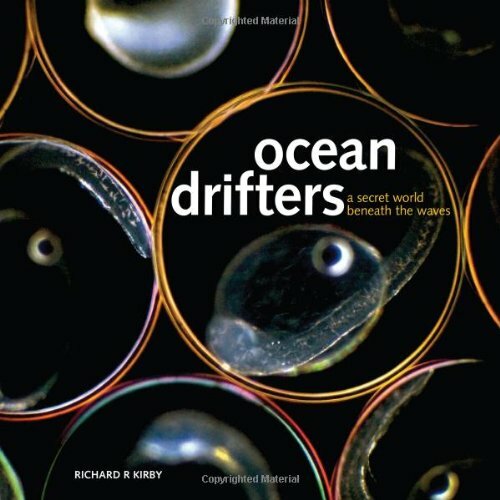 Dr. Richard Kirby, plankton scientist and an Associate Fellow of the Marine Biological Association perhaps better known to many blue water sailors as the organizer for the citizen science Secchi Disk research study, has created a stunning visual book about plankton. 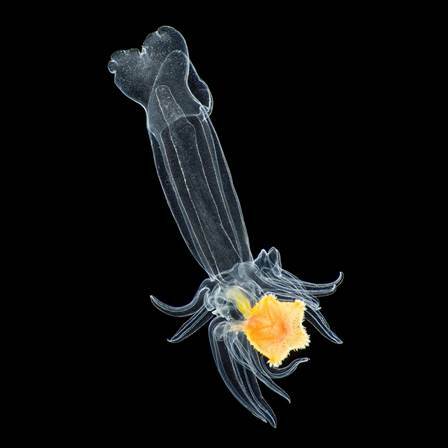 These tiny creatures of the sea, invisible to most eyes, are critical elements of the food chain supporting all ocean life. 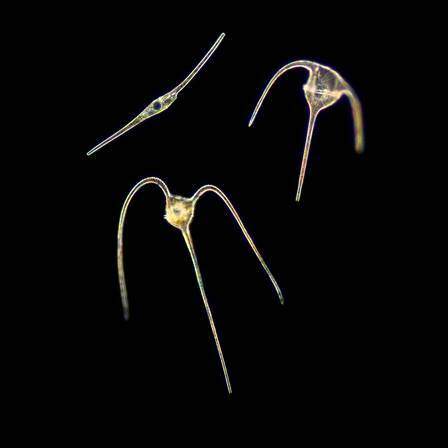 Most people don’t realize that plankton are among the most important creatures on our planet. Plankton is derived from the Greek term ‘Planktos’ which is given to all creatures that cannot swim against the current but must drift along with it. They consist of phytoplankton, which are plant-like photosynthetic cells, and zooplankton, which are tiny animal-like organisms. The phytoplankton account for up to 50% of all photosynthesis on earth. Phytoplankton feed the herbivorous zooplankton, while the carnivorous zooplankton in turn feed on them, and so on. “Without the plankton there would be no fish in the sea or creatures that feed upon them,” writes the author. But they are even more important as integral elements of the earth’s regulating ecosystem. The phytoplankton, which must live near the surface of the ocean to gain access to sunlight for photosynthesis, also give us half of our oxygen and play a central role in the global carbon cycle that controls the earth’s climate. 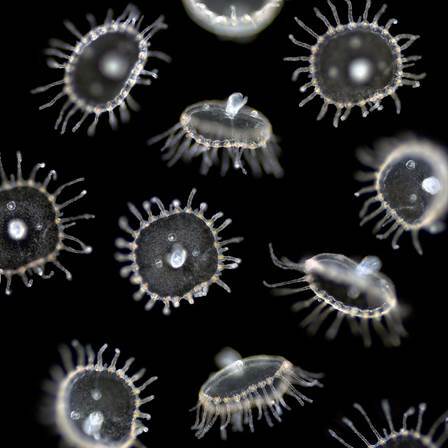 Plankton have been on this earth almost since life evolved in the sea, and the dead remains have created the world’s oil and gas reserves as well as distinct features of the earth’s crust, such as the White Cliffs of Dover. Clearly, as the earth’s climate changes, the abundance and distribution of plankton is changing, with ramifications for the interrelated ecology of our entire planet. 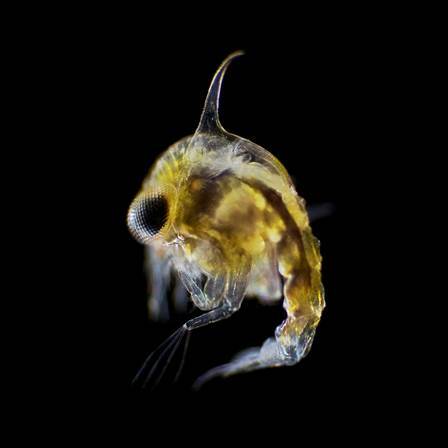 Each amazing photograph of these microscopic creatures of the sea, magnified through the eyepiece of a microscope, is accompanied by a brief and readily understood explanation of its characteristics and how it affects us in our daily lives. Want to know what is responsible for the smell of the sea? 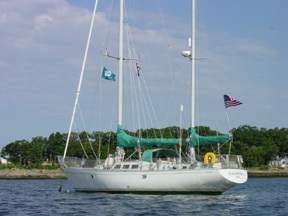 Interested in learning how by-the-wind sailors, Vellela vellela, actually sail across oceans and in different directions in the Atlantic and Pacific? These and hundreds more questions are answered through fascinating factoids, prose, and even poetry. This beautiful book would make an exceptional gift for anyone who loves or is drawn to the sea. Budding young scientists, shore enthusiasts and sailors alike will learn to appreciate and gaze more deeply into the life around them, while armchair sailors will have many questions that might have eluded them answered with ease. The iBook edition, released in the spring of 2015, is full of dramatic images and has about 20 more than the print edition. The print edition, originally released in 2010 and reprinted several times already, is of high quality – beautifully designed, laid out and reproduced. It has received high praise and critical acclaim from the likes of the Daily Telegraph, Wall Street Journal, American Scientist, and Publisher’s Weekly. The book is available direct from http://www.oceandrifters.org/ and through the author’s website at http://www.planktonpundit.org/. You can also view an Ocean Drifters film at https://vimeo.com/84872751. You’ll recognize the voice of the narrator, Sir David Attenborough.